Israel was created through violence and terror, which it continues to heap on Palestinians to this day, as it works to fulfill the dream of Zionism – a Jewish state from the river to the sea. How, then, does it continue to portray itself as the victim, while painting the actual victims – Palestinians – as the aggressors? It has become a tired and broken record, one that Israel and its ardent supporters play, regardless of the rationality of their arguments. Any criticism of Israel, or any peaceful act to put pressure on the state, draws the same outrage, expressed through carefully thought out, yet irrational, talking points. Anyone, or any organisation, who dares to criticise the self-proclaimed “only democracy in the Middle East” is accused of being motivated by anti-semitism. Any critical act or protest aimed at pressing Israel to uphold international law, no matter how peaceful, is denounced. Israel’s treatment with kid gloves is not new; what is new, however, is its launching of the bullying trigger button within seconds of an attack. While access to the nuclear button is normally reserved for the head of state, any pro-Israel civilian can launch the bullying trigger button, and they are encouraged to do so by Israel. An army of social media trolls linked to Israeli missions abroad have their fingers hovering over this button, ready to defend as soon as they perceive an attack. It’s a button they have pressed repeatedly in recent days. Take the case of Airbnb. The holiday property listings company enraged the bullying army by withdrawing listingsfor properties built in illegal Israeli settlements from its website. Pro-Israel critics claimed that Airbnb was singling out Jewish Israeli properties, and therefore, this was anti-semitic. The reality is that the settlement enterprise itself is racist, because homes are only built for Jewish Israelis. Imagine the outcry if Britain built homes only for white Christians, banning other inhabitants of Britain from acquiring them. Settlements are also illegal under international law. Airbnb said it took action because settlements were at the “core of the dispute between Israelis and Palestinians”. A statement from the company noted: “US law permits companies like Airbnb to engage in business in these territories. At the same time, many in the global community have stated that companies should not do business here because they believe companies should not profit on lands where people have been displaced. A reasonable person would see clear logic in that stance. However, the bullying trigger button was pressed, and an illegal settler is now bringing a lawsuit against Airbnb. Consider that for a moment: an illegal settler is suing a company for a moral and legal act. Any reasonable person who knows the Quakers would realise that they would have reflected seriously before making such a decision, and that it was based on their deep knowledge of the situation over decades. Divesting from companies that profit from an illegal occupation is moral and legal. 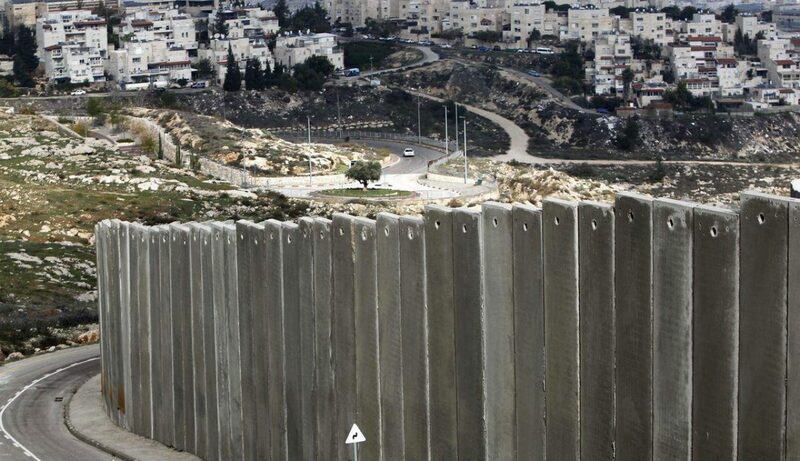 Israel does not recognise that the West Bank and East Jerusalem are occupied. Prime Minister Benjamin Netanyahu has deemed it absurd to talk of an occupation, and the long-advertised US “deal of the century” will likely reflect this by avoiding a call to end the occupation. This will certainly not lead to peace. What is needed is more pressure on Israel to comply with international law and to finally end the occupation of Palestinian land. Airbnb was correct to identify the settlements as a core issue, and it is time that others follow suit. The bullying trigger button will now be pressed regularly, judging by the number of moves to ban trade with illegal Israeli settlements. Chile’s congress overwhelmingly passed a resolution demanding that the government “forbid the entry of products manufactured and coming from Israeli colonies in the occupied Palestinian territory”. This follows hot on the heels of Ireland’s senate passing a bill banning the import of products from illegal Israeli settlements. The vicious attack on CNN contributor Marc Lamont Hill, fired for standing with Palestinians, shows that Israel is being singled out not for criticism, but rather for protection from accountability. Free speech, it seems, is a value that most claim to uphold – except those who blindly support Israel. Speak if you want to, they say, but the price will be high. The bullying trigger button can be pressed by anyone in defence of Israeli apartheid.